Greetings from the retro-future! 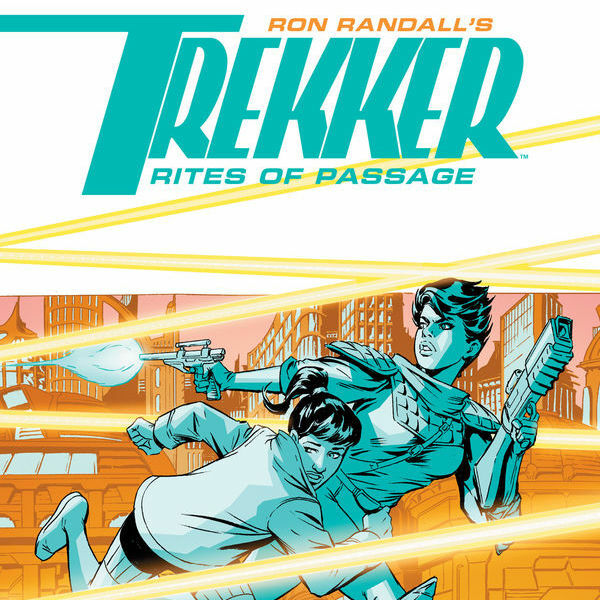 This week, Chris (@AceComics) and Reggie (@reggiereggie) take a trip to the year 2226 and examine the gritty, noir world of Mercy St. Clair in Ron Randall's Trekker: Rites of Passage from 2017! After a biography of the singular creator, our time-travelers read the entire graphic novel, lending their voices to all of the pertinent characters. Then they take a look at the history of the science fiction genre, and how it contributed to--and helped invent--comic books! Don't be a priv, catch 'em on the neb! Special thanks to Ruth and Darrin of RaD Adventures Network for the selection!